The region of northern Thailand shares a border with Myanmar and Laos. A name synonymous with river valleys, mountain ranges and the hill tribes which inhabit them, the province of Chiang Mai is the second largest in Thailand and one of the most popular with incoming visitors. Which means a wide selection of luxury hotels offering full wedding packages to chose from! The city of Chiang Mai is considered a national treasure. Cross the moat and venture inside the walls of the old city for a veritable lesson in Thai history and culture. Welcome to the northernmost province of Thailand, where the famed Mekong River forms the border between Chiang Rai and Laos. For the time being, still a less touristy alternative to Chiang Mai, this province can offer the same beautiful scenery and more! Rugged mountains, hill tribe trekking, ancient ruins and glittering temples are just a few reasons why Chiang Mai should be high on your Thailand to-do list. The Thailand Elephant Conservation Centre is what draws most visitors to Lampang, where the king’s white elephants are stabled. However, stay a little longer to discover the charm of the province’s main city, also called Lampang. Set on the banks of the Wang River, horse drawn carriages are still a major form of transportation here. Is there a more romantic way to be transported to and from your wedding ceremony? South of Chiang Mai is Lamphun, its many temples as intricate as the hand woven silk garments for which the province is renowned. In pride of place is Wat Phra That Hariphunchai, a Buddhist temple constructed between the 9th to 11th centuries. The golden chedi (stupa) inside stands proud at 46m tall! Lamphun is also a region of natural beauty, with lakes, mountains and rivers all waiting to be discovered. Sharing a border with Myanmar, Mae Hong Song is the least populated province of Northern Thailand. Poetically translated as the ‘City of Three Mists’, Mae Hong Song is famed for the mist which settles in its valley thanks to the surrounding mountain ranges. Still the preserve of the more intrepid tourist, due in part to a long and windy access road, those who brave the journey will be rewarded with hot springs, elephant trekking, village home stays and white water rafting. White water rafting and elephant riding are just two of the activities on offer in Nan province which are bound to get your adrenaline pumping before (or after) your wedding day! Less touristy than Chiang Mai and Chiang Rai, yet with just as many attractions to entertain those who love the great outdoors, Nan boasts six national parks, perfect for treks and visiting the hill tribes which live here. Phayao is definitely one of Thailand’s off-the-beaten track destinations. Visitors who venture here will unlock many of its secrets; from high up in the mountains and the hill tribes who call them home, back down towards the rice fields of the lowlands. Then there’s the rustic charm of Phayao town itself. Built around the lake Kwan Phayao, pull up a seat at one of the waterfront restaurants or bars and settle in to watch the spectacular sunset. Relaxation is an important word here. From intrepid mountain treks to spot exotic wildlife to losing yourself in the charming narrow streets of Phrae town, both the outdoor enthusiast and the culture vulture will find no shortage of attractions in Phrae province. The traditional teak houses and temples found inside the old walls of Phrae town provide not only a picturesque snapshot into Thailand’s history but a romantic backdrop to your wedding day. A former Thai capital, Sukhothai is one of the most romantic spots in Thailand! Sukhothai town will charm any visitor with its wide, tree lined boulevards and array of temples and museums, so immerse yourself in the local culture. Watch the sunset over the carefully restored ruins of Old Sukhothai at Sukhothai Historical Park, a Unesco World Heritage Site, once night falls the sky lit up by the parks illuminated statues of Buddha. Meaning ‘Port of the North’, Uttaradit, as the name suggests, has always been an important commercial centre and shares a border with Laos. Although slightly off the usual tourist trail, experiences awaiting the more adventurous traveller include bathing in the waterfalls of Klong Tron National Park and boating on Khuean Sirikit, Queen Sirikit’s Lake. Often referred to as Issan, the region of Northeastern Thailand shares a border with Laos and Cambodia. The rapids of the Mekong River form the border between Laos and Amnat Charoen, one of Thailand’s youngest provinces (since 1993). Amnat Charoen is also one of the less visited areas of Thailand, so the more adventurous traveler can take advantage of uninterrupted exploration of Southeast Asia’s greatest river and the surrounding forests and mountains. When it’s time for some culture, why not visit one of the many sacred temples and witness the silk production for which the region is famous? 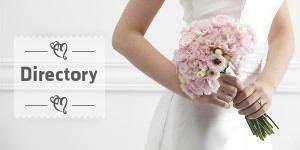 Here’s your chance to select a unique accessory for your wedding dress! Once part of Nong Kai, Buengkan was only recognised as an individual province in 2011. Sharing a border with Laos, the Mekong River is the major attraction and the focus of this region. Much of the province is covered in lush forest. Highlights include the temple Wat Phu Thok & Nam Tok Tat Kinnari waterfalls. Set on the Khorat Plateau, Buriram borders Cambodia to the south and is known as the land of extinct volcanoes. Today’s Buriram offers a wealth of ancient ruins to discover, the most famous of which are the sandstone sanctuaries from the Khmer kingdom at Phanom Rung. Buriram translates as ‘City of Happiness’, a more than fittingly named destination in which to say ‘I do’! Nestled in the centre of Thailand, on the cusp of the Central and Northern regions of the country, Chaiyaphum is the ‘Land of Victory’, an epithet which many of the historical monuments of this province attest to. Geographically split between mountains and plains, Chaiyaphum can boast the best of the natural world: national parks, waterfalls, challenging treks and forests full of exotic flora and fauna. Did you know that dinosaurs once roamed the land that is present day Thailand? Here’s your chance to travel back in time, 120 million years to be exact, at the Phu Kum Khao Dinosaur Excavation Site. Housed here is the largest cluster of Jurassic dinosaur fossils in the country! Apart from this real life Jurassic Park, Kalasin is also famous for sticky rice, Pong Lang music and Phrae Wa cloth. Chances are that all visitors to the northeast region of Thailand will pass through Khon Kaen at some point in their travels. This province is the commercial, administrative and geographical heart of the region and as such can offer good transport links, consulates, high end hotels and restaurants. Many temples and museums are concentrated in the capital, Khon Kaen town. Perhaps the title of most unusual attraction in Khon Kaen goes to the ‘King Cobra Village’, where every house keeps one such snake as a pet! Seen as an up and coming ecotourism destination, Loei is one of the least populated and visited provinces of Thailand. Loei is affectionately known by three nicknames: City of the Sea of Mountains, Beautiful Flowers of Three Seasons and Coldest Place in Siam. The first two allude to the natural beauty which this province is blessed with. The last a reference to the temperature extremes of Loei. Exceptionally hot in summer, the province is transformed into a veritable oasis of cool respite in winter. Maha Sarakham is a renowned centre of both educational and religious thought. The largest university in the region is found here and the province is also considered to be the Buddhist heart of Northeastern Thailand, with many temples and statues of Buddha. As such, visitors can expect a vibrant and dynamic town whose population holds deep respect for their spiritual side. Mukdahan means moonstone or pearl and given its geographical location, on the banks of the Mekong across from Laos, it’s no surprise that the province is known as the ‘Pearl of the Mekong’. Head to the observation deck of Ho Kaeo Mukdahan, which stands 65m tall and provides sweeping panoramas over the Mekong River. Other attractions include Mukdahan National Park, the highlight of which is Fa Mu Daeng cave, which shelters prehistoric drawings and paintings some 5,000 years old. Nakhon Phanom is a province offering something for everyone. Thanks to a shared history, the culture buff can embrace the local Laotian influence; from cooking, to local customs, and architecture. For fans of the great outdoors, Phu Lang Ka National Park offers diverse flora and fauna as well as two spectacular waterfalls to explore. This isn’t called the ‘City of Hills’ for nothing! The gateway to Thailand’s northeastern region, Nakhon Ratchasima also happens to be its largest province. Nakhon Ratchasima is often called Khorat, for this is a province found at the western end of the dominating Khorat Plateau. It can boast the Unesco World Heritage listed Khao Yai National Park and the historical site of Phimai, part of the Angkor Empire and home to some very significant Khmer ruins. Nong Bua Lamphu may be one of Thailand’s newest provinces, but the Nong Bua Lamphu museum is proof that life existed on this land millions of years ago. 140-150 million years ago to be precise! Over 60 pieces of dinosaur fossils can be viewed here. There’s no shortage of the natural splendours which Northeastern Thailand is blessed with. Waterfalls, forests and caves are all waiting to be discovered and enjoyed. The aptly named Friendship Bridge links Nong Khai to the Laotian capital Vientiane and this is a province which has belonged to both countries at different points over the centuries. Nong Khai fills up in October for one of the regions most famous and unique festivals: the annual Bang Fai Phaya Nak, or the Naga Fireballs. An unexplained phenomenon, crowds gather to witness the red and pink fireballs which appear at the start of the full moon. According to local belief it’s the serpent of the underworld, Phaya Nak, who is responsible for these great balls of fire. Time to get Buddha spotting in Roi Et! The most impressive of the many Buddha statues this province boasts is at Wat Burapha Phiram and is over 60m tall! Roi Et means 101, in reference to the eleven satellite cities which once belonged to the main city, Saket Nakhon. Today Roi Et town is a pleasant regional centre on the banks of the lake Bung Phlan Chai and one of the province’s main attractions is found around 90km north: Wat Pha Nam Yoi, a spectacular and ornate temple complex. Sakon Nakhon is famous for the Phu Phan mountains and the temple retreats the mountains hide within them. Offering the isolation and peace which many visitors crave, there are numerous meditation options to explore. Once revitalised, do like the locals and escape to Lake Nong Han to relax. As the largest lake in northeastern Thailand, the shorefront is one large expanse of public parkland. One of the most southern provinces of Northeast Thailand, Sisaket shares a border with Cambodia and many Khmer ruins dot the landscape. The most impressive of these is Phra Vihan, a clifftop temple complex which actually falls inside what is today Cambodia, yet is much more accessible from the Thai side at Sisaket. The Phra Vihan temple is found within a national park of the same name, a stunning expanse of forests, cliffs and waterfalls to be explored. The elephant is an animal synonymous with Thailand and Surin is a province famed for the capturing and taming of these incredible creatures – the local population are reputed elephant ‘whisperers’, such is their talent. This is celebrated every November during the Surin Elephant Round-Up, an annual festival which honours not only the majesty of the elephant but also the skills of their trainers. Ubon Ratchathani marks the corner where Thailand, Laos and Cambodia meet and it’s known as the Emerald Triangle. As the name suggests, the provinces many unspoilt national parks are waiting to be discovered. There are also many traditional festivals to participate in. Highlights of the cultural calendar include the Candle Festival (every July/August), the Illuminated Boat Procession and Traditional Boat Races (both October). The ‘city of the North’, the modern province of Udon Thani is an industrial and commercial hub due to its proximity to the Laotian capital Vientiane. Yet the biggest attraction dates back 5000 years, to the Unesco World Heritage listed archaeological site of Ban Chiang. To visit is to step back in time to the world’s first bronze age civilisation! Huai Kha Khaeng Wildlife Reserve in Uthai Thani is one of Thailand’s premier wildlife parks and protects many of Thailand’s more endangered species. The local population is centred around the Sakae Krang River and tourists who venture to this, one of Thailand’s less visited provinces, can visit the river’s floating villages which are such an important aspect of the local lifestyle. Visit Yasothon at the start of the rainy season (late May) and take part in one of Thailand’s brightest and loudest festivals! The Rocket Festival is a sensory delight, an explosion of home-made rockets, live music and brightly decorated floats, all in tribute to the gods of rain. Yasothon is one of the smallest provinces of the region, and local specialties to enjoy include jasmine rice and juicy, fresh watermelons. 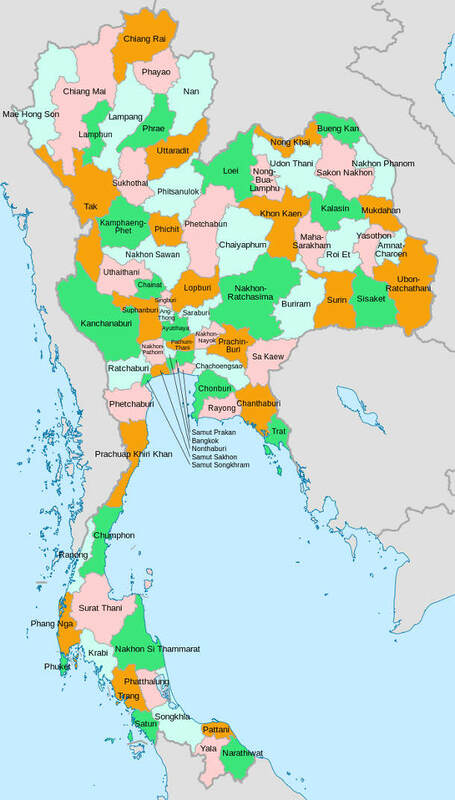 Not dissimilar in shape to Chile, Western Thailand is a long, narrow a region which extends south along the border of Myanmar. The chance to visit the ‘Bridge over the River Kwai’ has been attracting visitors to Kanchanaburi for years. This is Thailand’s third largest province and it shares a long border with Myanmar. The proximity to Bangkok (just over 100 kilometres away) makes Kanchanaburi somewhat of a weekend escape for the inhabitants of the capital, who take advantage of activities such as white water rafting, mountain biking, star gazing and bird watching. At the tip of the Malay Peninsula, Phetchaburi extends from the shores of the Gulf of Thailand to the Myanmar border and offers an array of dazzling highlights. Relax along the 6 kilometre stretch of white sand at Hat Cha-am beach, one of the country’s favourites, or cruise the calm waters of Kaeng Krachan National Park, Thailand’s largest national park. At the narrowest point of Prachuap Khiri Khan, only 13 kilometres separate Myanmar and the Gulf of Thailand! This slither of a province connects mainland Asia with the Malaysian Peninsular and its coastline offers world class beaches. Hua Hin, Thailand’s original beach destination, is home to many luxury spa and golf resorts. Close by is Pran Buri, where you will find more cozy, boutique-style accommodation options. All within easy reach of Bangkok! Only 80 kilometres out of Bangkok, the province of Ratchaburi is the perfect destination for a cultural day trip from the capital! Every morning vendors hawk their wares at the Prachuap Khiri Khan floating markets. An early start is required, but it’s all worth it when you can hire your own boat to navigate the narrow canals and shop at your leisure. If shopping isn’t your thing, how about scaling new heights at the Khao Ngu Rock Park, one of Thailand’s premier rock-climbing destinations? Once an important border post between Thailand and Myanmar, Tak is still but a speck on the tourist radar of Thailand. This should be music to the ears of the more intrepid traveller. Tak is a province which offers a chance to experience a purer Thailand, untainted by the tourist dollar. National parks, temples, waterfalls and exotic animals are all waiting to be discovered during the day, by night your chance to relax in traditional Thai hospitality. Many peoples first step on Thai soil will be in Central Thailand. The most populated region of the country is home to Bangkok province. Meaning the ‘Gold Basin’, a reference to the slightly golden colour of rice grown here, Ang Thong is a relatively flat province. This is an important agricultural centre, so you can be assured of superb tropical fruits to feast upon during your visit. Ang Thong can also boast over 200 temples and many local villages to visit who produce traditional handicrafts. Ayutthaya was once one of the most majestic and prosperous cities in the whole of Asia and the site is now on the Unesco World Heritage list. One of the must-see attractions of the entire country, the ruins of this great settlement can be explored at the Ayutthaya Historical Park. River cruises along the Chao Phraya River are the perfect way to end a full day of touring. Bangkok is one of Asia’s most important and populated cities and the heart and soul of Thailand. There’s never a dull moment to be had, from the street food stalls serving freshly cooked feasts to nabbing a bargain at the vibrant night markets. Peace and tranquility can be found in some of the country’s most significant religious sites, such as Wat Pho, home to the very famous reclining Buddha. Other highlights include the Grand Palace, Thailand’s single most visited tourist attraction. Chainat, the ‘Place of Victory’, is a province of strategic significance who managed to defeat Burmese troops every time the two armies confronted each other during the Siamese-Burmese war. Today, more soothing tones fill the air, as one of Chainat’s biggest attractions is the Chainat Bird Park, an immense sanctuary housing Asia’s biggest aviary. Kamphaeng Phet is the land of bananas and festivals to celebrate this much-loved fruit are held throughout the year. Kamphaeng Phet can be translated as ‘Strong as Wall’ or ‘Forts Made of Diamonds’, a very poetic reference to when the region was dotted with towns acting as a frontier between the northern and central ancient Thai kingdoms. The old quarter of the capital, the eponymous Kamphaeng Phet, can offer a glimpse into this history. One of the more unusual festivals in Lopburi is November’s Monkey Banquet, in honour of the monkeys which are found in this region. Visitors come from afar with fruits and other foods to feed to these popular animals! A province of historical significance, the old centre of Lopburi town is a mix of old and new influences and should be high on the sightseeing list for anyone interested in Thai culture. Rafting, kayaking, mountain biking and zip-lining are just some of the activities bound to get your adrenaline pumping in Nakhon Nayok. Less than 100 kilometres north of Bangkok yet a world away from the hustle and bustle of the capital, this is a province of natural beauty. Why not book onto a jungle trekking expedition to get closer to nature? Highlights in Nakhon Pathom include Wat Phra Pathom Chedi Ratchaworaviharn, one of the country’s most important royal temples. It is both Thailand’s earliest Buddhist monument and the tallest pagoda in the world! This small province, a mere 50 kilometres from Bangkok, is a land of fertile plains. Many fruit orchards thrive here and the pomelos from Nakhon Pathom especially famous. The gateway to Northern Thailand, Nakhon Sawan is a relatively undiscovered province. The meeting point of four important rivers, many of the highlights are centred around the water. Wat Bang Pramung Floating Market, Bung Boraphet, Thailand’s largest freshwater swamp, and Bueng Boraphet Aquarium, with an immense 24 metre long tank, are just some examples. Why not take a leisurely cruise along the Chao Phraya River from Bangkok towards Nonthaburi? Relax and enjoy the view, since you’ll be floating past temples and flower gardens. Whilst you're there, rent bicycles and pedal past palaces such as Prathom-Nonthaburi and royal monasteries like Wat Chaloem Phra Kiat. When you start to get peckish there’s no better a stop than the Nonthaburi Fresh Market. Considered part of Greater Bangkok, Pathum Thani is the silicon valley of Thailand as well as an important educational centre. Cultural day trips to consider include a visit to the National Science Museum or the Golden Jubilee Museum of Agriculture. When it’s time for some more high-energy activities, how about a visit to one of the country’s premier amusement parks, Dreamworld? By Thai standards, Phetchabun is a province which boasts a fairly cool climate, year round. The landscape is awash with verdant mountains and forests, and refreshing waterfalls and rivers. In fact, Khao Kho National Park is affectionately known as ‘Little Switzerland’! Other highlights include the Khmer ruins at Si Thep Historical Park and the Hmong village known as the ‘Misty Town’, Ban Thap Boek. Whilst Phichit means the ‘Beautiful Town’ one of the biggest attractions in this province are not generally renowned for their beauty: crocodiles! The two rivers of Phichit have historically been home to freshwater crocodiles, however happily these animals are now only found within the confines of the many crocodile farms which exist here. Another province of exceptional natural beauty, the more intrepid visitor can lose themselves in the unspoilt forests and waterfalls of Phitsanulok. The capital of the province, also called Phitsanulok, suffered much devastation due to a fire in 1957 and large parts of it destroyed. The modern town which rose from the ashes has some interesting museums and is home to Wat Phra Si Ratana Mahathat, which houses one of the country’s most important Buddha images. You may often hear Samut Prakan referred to as Pak Nam, or ‘River Mouth’, denoting its location at the mouth of the Chao Phraya River. A mere 25 kilometres out of Bangkok, this is a region popular with day-trippers who come to visit the Bang Namphueng Floating Market and the restaurants along the Bang Pu seaside. Neighbouring Bangkok, the province of Samut Sakhon boasts a lovely stretch of coastline along the Gulf of Thailand and a selection of hotels and resorts overlooking the ocean. Throughout the year many festivals are held here, which would appeal to the gourmet traveller. Visit during February and March for both the Seafood festival and the Ban Phaeo Agriculture Fair. The Tha Chalom Vegetarian Festival is held during 9th lunar month, the dates change every year. Within easy reach of Bangkok, Samut Songkhram offers an alternative to the famous floating markets of Pattaya. The heart of this tiny province is the Mae Klong River and local life centres around it. Pass by traditional houses and riverside temples as you cruise the waterway, and stop at Amphawa Floating Market for fresh food and a refreshing drink. An easy day-trip from Bangkok, Saraburi is a province of historical and religious importance. Wat Phra Phutthaba is an important pilgrimage site, thanks to the Buddha footprint housed here, and dates from the 17th century. Visitors during December and January will be treated to a vibrant floral display, as the sunflower fields along Phatthana Nikhom-Wang Muang are in full bloom! One of the smallest provinces in Thailand, Singburi attracts visitors from all over the country for the annual traditional long-tailed boat races each September. Crowds gather to watch brightly decorated vessels all compete for the Princess Maha Chakri Sirindhorn Trophy. A region of many temples, another highlight is the 46 metre reclining Buddha housed at Wat Phra Non Chakkrasi Worawihan. Less than 100 kilometres from Bangkok, Suphanburi means the ‘City of Gold’ and its history dates back to the 9th century. A visit to the Banharn-Jamsai Tower, the highest observation deck in Thailand, offers a sweeping panorama of this historical area. The top is over 120 metres high! Other highlights include Phu Toei National Park and Tham Weruwan, a cave housing a large, gold Buddha statue. A mere 80 kilometres from the capital, Chachoengsao means ‘Deep Canal’, a reference to the many canals for which this province is known. However that’s not your only chance to glimpse the water. Chachoengsao has a coastline on the Gulf of Thailand. Head to the sea and feast on the province’s most famous export: mangoes. There’s no other fruit that says summer, sun and relaxation better than this exotic treat! If you decide on the province of Chanthaburi for your destination wedding, don’t buy your rings at home. For this is Thailand’s centre of gem mining so you’re sure to be spoilt for choice here! Chanthaburi shares not just a border with Cambodia but also colonial influence. The French occupied this part of Thailand in the 19th century and their presence can still be felt in the architecture. You’ll find the largest Catholic Cathedral in Thailand here. It’s also a province of charming fishing villages and relaxed beaches. When the inhabitants of the capital want to escape the intensity of Bangkok, it’s towards the coast of Chon Buri where they head. The beach resort of Pattaya is the most popular, however if you’re looking for a more intimate coastal setting for your wedding it’s worth exploring other beaches such as Bang Saen. Chon Buri is renowned for fresh seafood, so settle in and feast on the daily catch! A visit to Prachin Buri can bring different rewards to different people. For the extreme sports enthusiast the province offers rapids perfect for white water rafting. Those who love nature will be at home trekking through the 3000 square kilometres of national park. If you prefer to soak up the local culture and traditions, consult the busy event calendar and chose from long boat races to sky rocket festivals. History lovers can wander the ancient moats of Si Mahosot Ancient Town. There’s something for everyone! If Thailand means beaches, islands, relaxation and great food to you, than Rayong is one province you should definitely become acquainted with. For a start, Rayong can boast 100 kilometres of coastline. That’s a lot of white, sandy beaches! There’s a selection of great accommodation options to choose from; including luxury resorts and boutique hotels. The islands of Koh Samet, Koh Mun and Koh Kood are also easily accessible from the mainland. One of the main border crossings between Thailand and Cambodia, Sa Kaeo is considered the frontier to the east. Yet spend some time here and you’ll be enchanted by the province’s natural beauty, such as the waterfalls of Pang Sida National Park and the unusual earth formations at La-Lu. For full immersion in local culture and traditions, why not organise a homestay in a local village? Did you know that Trat can boast an impressive 52 islands? That’s one to visit a week! The most famous of is Koh Chang, part of Mu Koh Chang Marine National Park, however Koh Kham and Koh Mak can also claim to be havens of peace and quiet. White, sandy beaches, coral reefs and superb diving and snorkelling are just some of the highlights. Found on the Malaysian Peninsular, the provinces of southern Thailand offer the best of both coasts. The west coast is on the Andaman Sea and the east the Gulf of Thailand and the South China Sea. The gateway to the south, too often visitors pass quickly through this province in search of the more famous resorts of Phuket and Krabi. Which means that the 200 kilometre coastline is relatively unspoilt and a less touristy alternative to consider for your beach wedding. Krabi offers the best of Thailand all rolled into one province and is one of the most popular destinations in the country. It’s hard not to fall in love with the secluded islands off the coast, many which are only accessible by boat. Add to that the famed islands of Koh Phi Phi and Koh Lanta, the spectacular sunsets over the Andman sea, and the picture perfect beaches, and you’ll understand why Krabi is, to many, the dream wedding destination. Similar to Thailand’s other southern provinces, Nakhon Si Thammarat has a long stretch of coastline, sandy beaches and diving and snorkelling opportunities. However, unlike some of its more well-known neighbours, this province is still relatively off-the-beaten track. Head to Ao Khanom Bay for crystal clear water, beaches, mountain walks and waterfalls, all without the usual hoards of tourists. Welcome to the most southern province in Thailand! Sharing a border with Malaysia, Narathiwat’s interior is largely unspoilt jungle and mountains, with some lovely beaches on the Gulf of Thailand. However recent years have seen developing unrest in the area so you are advised to consult your embassy’s travel advisory before planning a visit. Pattani is one of the region’s smallest provinces. Don’t mistake small for boring, however. Pattani is full of charm and history. Highlights include Yarang Ancient Town, the ruins of one of the oldest settlements of the region and Hat Panare, where fishermen's houses dot the beach and the daily catch is cooked and served fresh. Phang Nga was devastated by 2004’s Tsunami yet thanks to the determination of the locals the affected areas have made a full recovery. There are many reasons to love this province on the Andaman Sea, including Mu Koh Similan and Mu Koh Surin National Marine Parks, two picture perfect island chains offering some of the country’s best diving, and Phang Nga National Park with its spectacular limestone outcrops rising out of the sea. Important cultural contributions originating in Phatthalung province include Nang Talung, or the shadow puppet plays so often associated with Southeast Asian theatre. A visit to the Bang Kaeo Handicraft village will let you in on the secrets of their production. The coastline here is dotted with fishing villages instead of high rise resorts, perfect if you’re searching for a more traditional Thai experience. The largest island in Thailand, and the only island province, Phuket is the epitome of tropical paradise. White, sandy beaches and crystal clear blue seas are the perfect setting to relax, unwind or enjoy one of the many water sports on offer. Some of the most romantic wedding settings imaginable have been dreamed up by the many the luxury resorts found here, who all offer a variety of destination wedding packages. Thailand’s smallest province also has one of the longest rainy seasons, 8 months of cool respite. Don’t let this put you off, however, as there are delightful discoveries to be unearthed in Ranong. Koh Phayam, one of the least visited islands in the whole country, is a sanctuary of tranquillity. This is just one of the province’s 62 islands! Ranong is also famed for hot springs and national parks. Only becoming part of Thailand in the early 20th century, mainly travelers briefly pass through the mainland of Satun en route to the islands of Koh Lipe and Koh Tarutao. These islands, with their clear water, white sandy beaches and diving and snorkelling sites are the epitome of tropical paradise and waterfront bungalows make up the majority of available accommodation. Historically an important trading post and melting pot of Indian, Persian and Arabian merchants, modern day Songkhla still serves as an important link between Malaysia and the rest of Thailand. These historical influences still remain in the charming old quarter of Songkhla town, and the rest of the province offers seaside resorts, fishing villages, national parks and beautiful waterfalls. The largest province of Southern Thailand, Surat Thani is also the most geographically diverse. Explore plateaus and forests, rivers and waterfalls. Yet, to many, the highlight of Surat Thani is found offshore, since Surat Thani is also known as the ‘Land of a Thousand Islands’. The archipelago is home to famed names such as Koh Samui, Koh Phangan and Koh Tao. Luxury resorts and hotels offer wedding packages to suit all budgets to make your dream island wedding a reality. A rarely visited alternative to popular destinations such as Krabi, Trang offers tropical paradise with half the crowds! Discover the white, sandy beaches along the Andaman Coast – there’s 200 kilometres to explore, after all! Or if you’d prefer to be in the water, how about diving off one of the province’s 46 islands? Inland, Trang boasts spectacular limestone mountains, caves and waterfalls. The local cuisine is infused with Malay and Hokkien influences, so you’ll be assured a feast at the end of each day! Yala, sharing a border with Malayasia, may be a landlocked province, but what it lacks in coastline, it makes up for in abundant natural beauty. The cascading waters of Namtok Than To, the hot springs at Betong, and one of Southern Thailand’s most important temples, Wat Khuhaphimuk, are just some of the highlights which await. It is advised to consult up to date travel advice before visiting Yala, due to occasional regional unrest. Find out more about getting married in Thailand in our Thai Wedding Guide or browse our Thai Wedding Directory to start planning your dream wedding.